(e) Inspect all parts for damage and wear. Replace all defective parts. Clean rear sight and forward assist portions of upper receiver and all components. 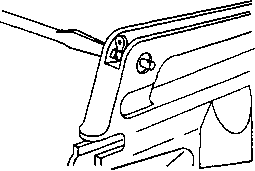 Lubricate upper receiver assembly. Apply CLP, LSA, or LAW (see p 2-22) to helical springs, threaded portion of screws, forward assist and sight before installation. 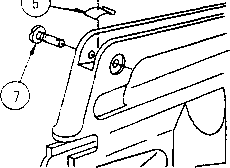 (a) Apply CLP, LSA or LAW (see p 2-22) to flat spring (5), aperture sight (6), and threaded portion of rear sight windage screw (7). (b) install flat spring (5) and aperature sight (6) with letter "L" to rear. 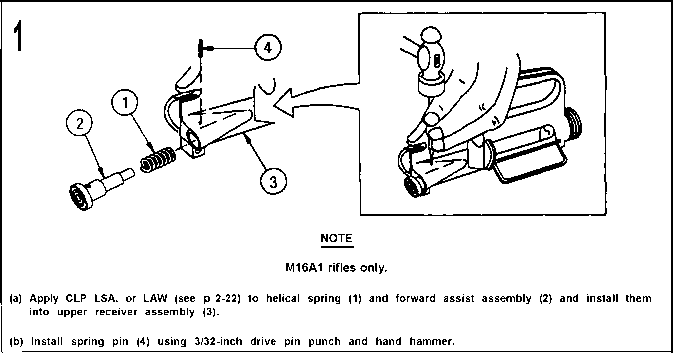 (c) Install rear sight windage screw (7) using flat tip screwdriver. Tighten screw. 3-14. 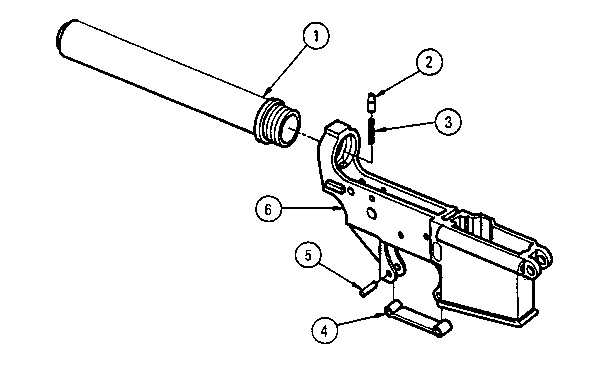 UPPER RECEIVER ASSEMBLY (CONT).